You’re respected in your field. You have loving, lasting relationships. You know who you are, what you want and think clearly. Now imagine you’re about to get on a plane to see your lover and decide if you want to marry them. 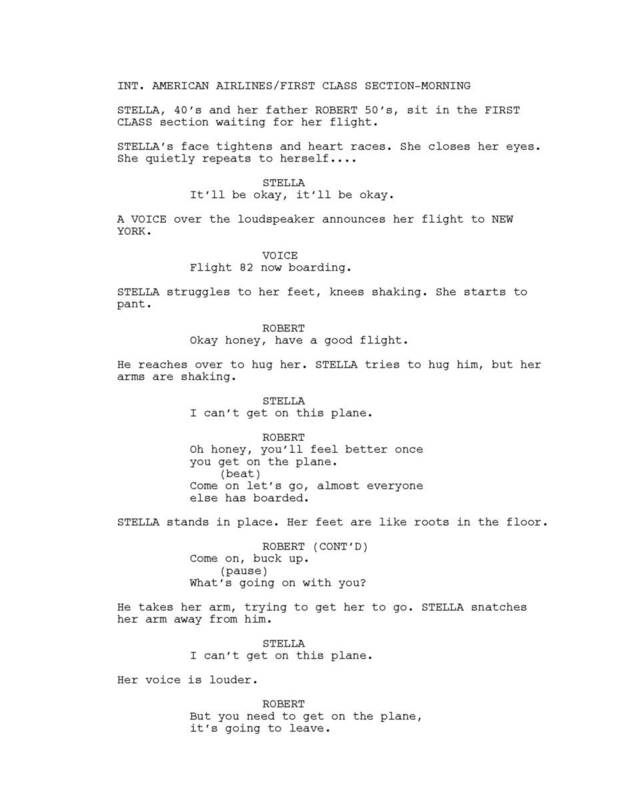 Before the moment you board, you can’t GET ON THE PLANE……..
Before this moment, Stella had everything. Afterwards, she uses a skillful litany of lies to cover up the truth; The same crippling anxiety which crushed her fifteen years earlier, because of her brother’s death, returned. Each day it’s harder for Stella to leave home and function. Every hour and minute gets harder, until she can’t handle life anymore. As she huddles at the dark bottom of her life, she can barely care for her seven-year-old daughter, Gabrielle. Unable to eat, sleep or stop the racing thoughts, she spirals deeper into her anxiety. It is the love for her child that gives her strength to reach out of the dark for help. Are you looking for a movie made to touch people in a special way? Turning the book, “Getting Past Anxiety” into a movie should be your next project. People will be inspired, touched and changed after they see it. A wealthy IT Specialist and single mom tries to regain her life after discovering she suffers from Social Anxiety Disorder. There are 15 million people in the U.S. who suffer from Social Anxiety Disorder. Another 25 million people suffer from some form of anxiety. This a total potential audience of 40 million people. That’s not counting their friends, family and mental health professionals who walk with them on the road to recovery. Nearly everyone in their lifetime deals with anxiety. Like Stella, we know what it’s like to create a litany of lies, cover-up stories and excuses for our anxiety. It leaves us isolated, ashamed and misdiagnosed. Interested in turning the book “Getting Past Anxiety” into a movie?